I completely forgot to post a Newton photo for week 41. 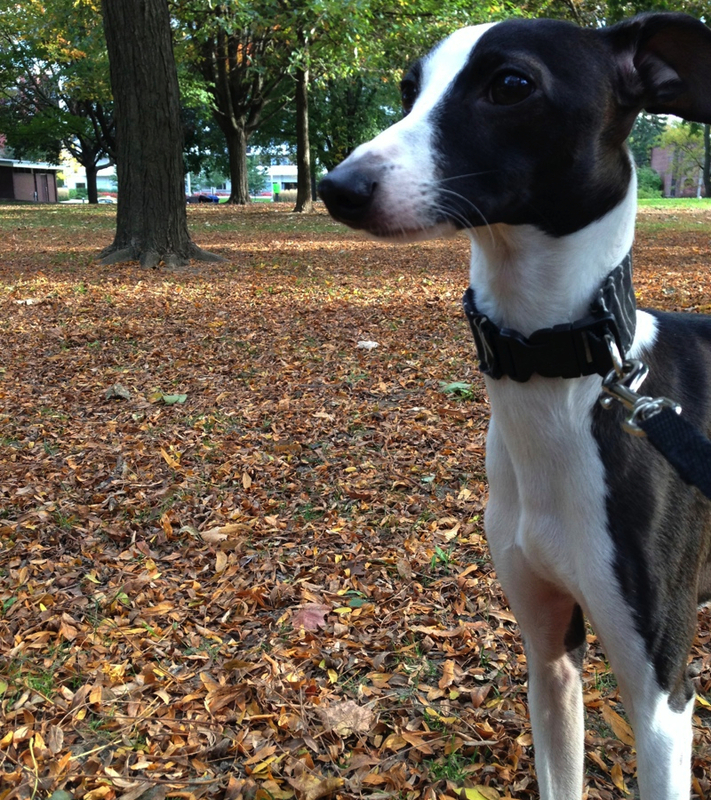 Here's one of Newton looking dapper during one of our walks. It was a nice day, but we can't escape fall. The temperature is getting colder and he doesn't like it.